We Have Your Garage Lighting Solutions! With the holiday season now upon us, your focus is likely on making your home inviting and comfortable for all those who will visit in the next month. You’ve changed the bulbs in the dining room chandelier and moved some lamps around in the living room, but what about your garage lighting? You’re going to be parking your car in the garage more often during the winter months, and you’ll be hunting for those boxes of holiday decorations over the next few weeks. If your garage is dimly lit, it can hinder your ability to find what you need, park your car with confidence, and of course, work on any holiday gifts that you’re making by hand. At Masterpiece Lighting in Atlanta, we can help you find new fixtures for your garage, whether that’s overhead lighting, under cabinet lighting, and more. Visit one of our showrooms today to get started! You use your garage for more than just parking your car — it’s also where you store all of those things that don’t fit in the house. You hang bikes on the wall or from the ceiling, and your boxes of decorations and other odds and ends take up space in the corner or on shelving units. Storing things in the garage can keep them safe, but you want to be able to see as your sorting through everything, looking for that one particular object. With new overhead and task lighting, you can see as you move boxes around or put things away. We can provide suitable options for every area of your garage, including the storage spaces. Your garage may also be your workspace where you focus on projects that will benefit you and your household. During the holiday season, you may make things by hand for friends and relatives, and as everyone knows, a poorly lit workspace is nobody’s friend. With new workbench and under (or over) cabinet lighting, you can illuminate your workspace and keep your tools and materials organized. You also won’t have to worry about eye strain that can come from focusing on small or intricate projects for a long period of time. If you’re looking for work lamps and other fixtures, then let us help you find them! 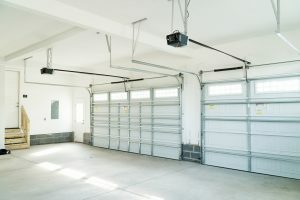 New garage lighting might not be high on your priority list, especially if you have lighting needs in other parts of the house. However, the experts at Masterpiece Lighting can help you find budget-minded solutions that won’t break the bank. 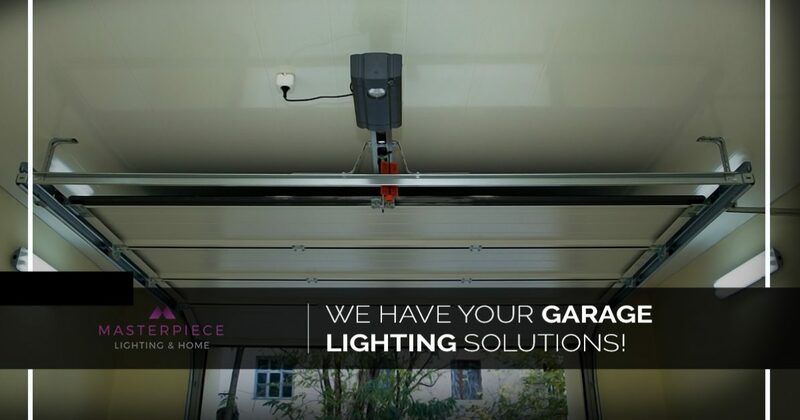 We have LED fixtures that can be perfect for your garage, and we’ll gladly answer any questions you have about design, placement, and installation. If you’d like to learn more about what we have to offer, or you want to look at what lights we have in stock, then visit one of our Atlanta-area lighting showrooms today. We’re always excited to meet new people, and we’d love to provide the solutions that you need to make your garage a safer and more comfortable place to be.